List of links to Storymap and Web Map prototypes that are under development for the California Atlas 2.0. Storymaps are web applications that combine interactive web maps with photos, text and pop-ups to present engaging, curated geographically-based narrative to support California Atlas lessons. This GeoTour is a companion piece to the book Our California by Pam Muñoz Ryan was made using National Geographic’s Mapmaker Interactive. This Story Map extends the California Missions map from p.23 of the print version of the California Atlas and is based on the Countdown Story Map Template. This Story Map extends the Gold Rush map from p.27 and the Gold Rush Routes map from p.26 of the print version of the California Atlas and is based on the Story Map Journal Template. This Story Map extends the Railroad Development map from p.30 of the print version of the California Atlas and is based on the Storytelling Side Accordion Template. This Story Map extends the Territorial Evolution of California map from p.28 of the print version of the California Atlas and is based on the Story Map Tabbed Viewer Template. This Story Map extends the Public Colleges & Universities map from p.50 of the print version of the California Atlas and is based on the Shortlist Story Map Template. In 1915 San Diego hosted the Panama-California Exposition to celebrate the opening of the Panama Canal. San Diego was the first port of call in the U.S. after entering the Pacific Ocean through the canal which made it an ideal location for the Exposition. The San Diego City Park was renamed Balboa Park prior to the Exposition to commemorate Vasco Núñez de Balboa being the first European to reach the Pacific Ocean. This map is created based on the Story Map Journal Template. 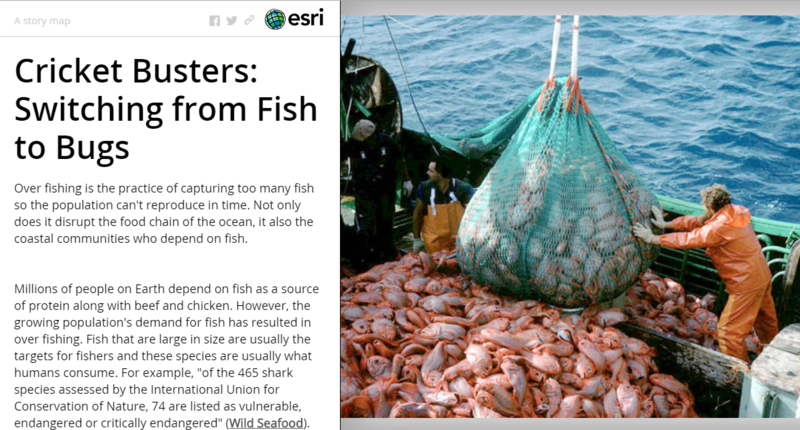 This Story Map was produced by students at Clark Magnet High and outlines a potential solution to the global crisis of overfishing. This map follows the first expedition to permanently settle California. Follow the journey day by day and read entries from the journals of the leaders of the expedition. This interactive map allows you to see where your drinking water comes from and what issues might be affecting its sustainability. This Story Map was created by a group of Stanford students led by graduate student instructors Alexis Mychajliw and Melissa Kemp, under the guidance of Professor Elizabeth Hadly. It is based on the Story Map Tabbed Viewer Template. A huge honor to give the Geography Department colloquium there. I have enormous respect for my colleague Dr Ming-Hsiang Tsou there and others. This story map is based on the Story Map Tour Template. A story map based on California’s historic drought of 2014! You will find reservoir levels and snow pack comparisons inside along with alarming information regarding California’s dire water situation!Author:Story Map created by Tom Bleicher, 2014. Photos courtesy of DWR, Getty Images, LA Times.If you recognize a photo that’s yours, please let me know so I can provide credit! This Story Map illustrates why scientists say we are now in an age shaped by human activity and also identifies solutions that could help create a more resilient global community. This Story Map allows you to see how the global supply chain is supported by a network of shipping ports and investigate each port in detail. This map shows the calculated living wage (based on MIT’s Living Wage Calculator) for each county in the United States and shows the current gap between the legal minimum wage and the living wage.